Madagascar is an island country in the Indian Ocean, off the southeast coast of Africa, and the fourth largest island in world. It’s been isolated for 70 million years, leading to the development of unique flora and fauna, with 90% of its wildlife found only in Madagascar. The “stars” of the show are Lemurs, over 100 different species of the primates from the tiny Mouse Lemur to one as puffed-up and stuffed as a teddy bear. And huge Chameleons flash skin colors according to their moods and have rotating independently-seeing eyes. 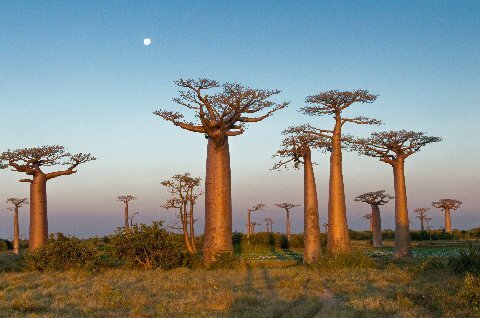 If you love exotic animals, Madagascar will cast a spell over you. No place like it on earth.